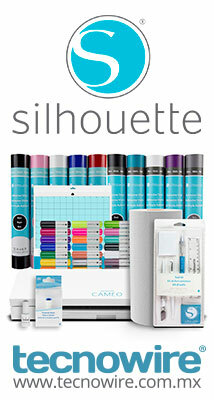 como puedo cargas nuevas fuentes al Silhouette Studio? Updated 2 days ago in General	. Last reply	by Mariaju31. 8 0 Want to undo ? Updated 3 days ago in Silhouette CAMEO	. Last reply	by SubliOK. 9 0 Want to undo ? Updated 3 days ago in General	. No reply yet	0 0 Want to undo ? Updated 5 days ago in General	. Last reply	by dollzrios. 93 0 Want to undo ? Updated 5 days ago in Silhouette CAMEO	. Last reply	by Kari. 4 0 Want to undo ? Updated 5 days ago in Silhouette CAMEO	. Last reply	by Kari. 1 0 Want to undo ? Updated 5 days ago in Soporte Técnico	. Last reply	by dori. 45 0 Want to undo ? Updated on 13 abril, 2019 in Silhouette Portrait	. Last reply	by ANDY. 3 0 Want to undo ? Updated on 12 abril, 2019 in Software	. Last reply	by virginiabent. 20 0 Want to undo ?